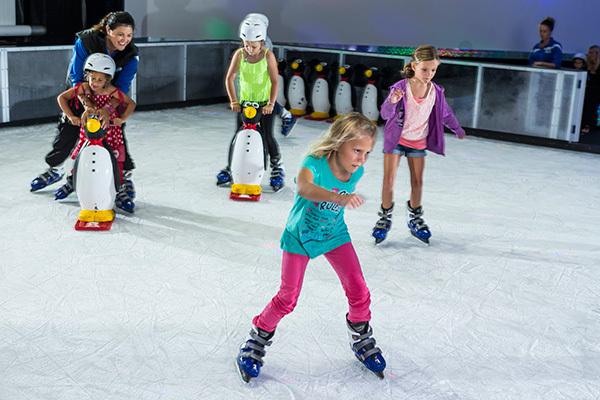 From cupcakes to laser tag, hair plaiting to ice skating, water activities to rock climbing, Paradise Resort is the ideal family holiday escape. And this paradise is closer (and more affordable) than you may think! 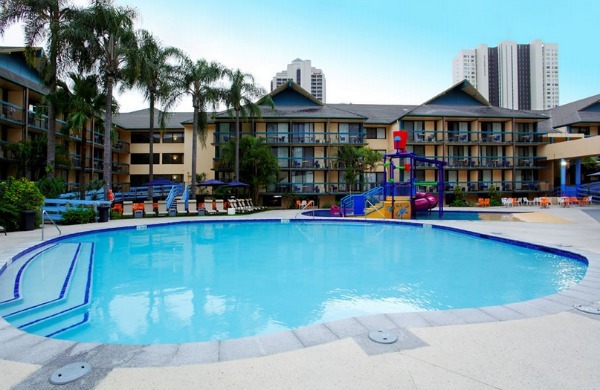 We’ve heard a lot about Paradise Resort. 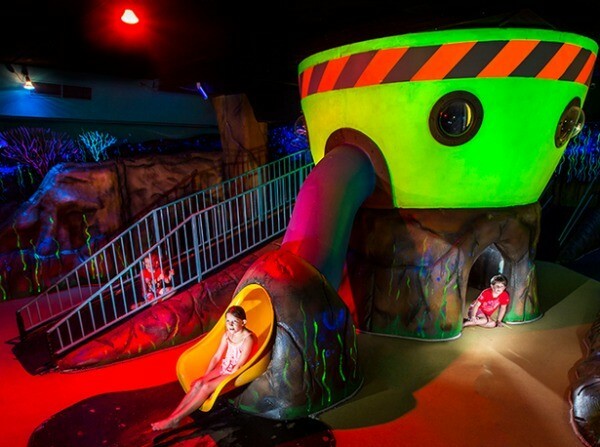 It consistently tops the list as one of the best family resorts in Australia and Babyology sales manager, Renita was lucky enough to discover first hand just how incredible it is. With her two children (and husband) brimming with excitement and the sun shining, they set off to the Gold Coast for three days in paradise. And she tells us that Paradise Resort didn’t disappoint. The excitement began as soon as they arrived at Paradise Resort. 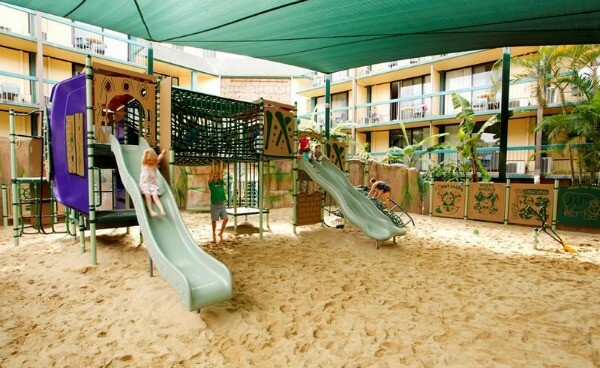 The kids disappeared into the lobby playground – probably one of the smartest inventions in the hotel world. Renita tells us that there weren’t any arguments standing in line and check-in was a breeze without the kids pulling at their shirts to hurry up. The staff were bubbly, helpful and ready to lay out the weekend activities. With an eight and a 10-year-old in tow, as well as a cricket-mad husband, the King Bunkhouse welcomed them with its open plan, Foxtel, Xbox, bunk beds for the kids and, most importantly, blockout curtains. Renita tells us that the room was clean and tidy and it was easy to get comfortable and enjoy a few hours of down time in between activities. First on the agenda was hair plaiting and necklace making, a supervised activity offered during the hearty breakfast buffet. As the kids enjoyed the special attention from the staff and made a few new friends, Renita and her hubby enjoyed their coffee (hot!) and a few minutes of one-on-one time. So what was the highlight of the trip? 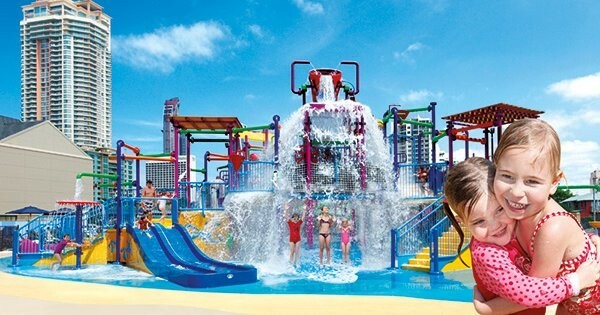 Renita and the kids agree that they couldn’t look past the Z4K Water Park, spa and swimming area. There was no stress in finding a chair or lounge in the shade or sun and they were greeted by other parents happy to watch on as their kids rode the slides. After the slides, the family moved on to the swimming pool activities. 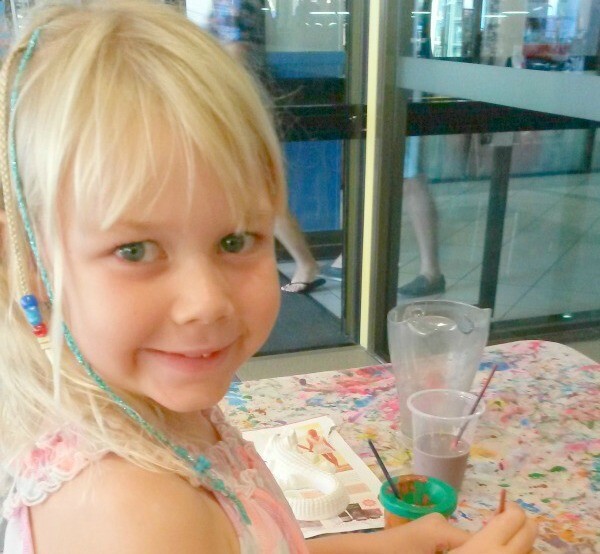 They tried their luck at the Hoola Hoop competition and Renita and her daughter enjoyed some time together biscuit decorating. 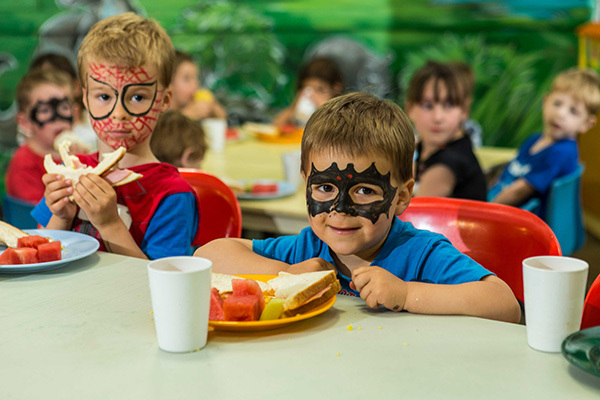 One of the truly extraordinary things about Paradise Resort is their kids’ club. Not only it is incredible, but there’s a free four-hour session with every booking. So no matter how old your kids, parents can enjoy a bit of one-on-one time. The activities are planned out for children as young as two but Renita says her older kids had a blast as well. At night they all enjoyed a late swim, a stage show and an outdoor movie at the resort. The stars were out as the kids ran around with their new friends. The activities do not end outdoors – there is a whole world of fun waiting to be explored inside as well. Renita tells us that they started the next day with a family game of laser tag. They then tested out some of the other free activities including the rock climbing wall, the outdoor playground and family bingo. That afternoon they headed to the resort’s ice skating rink, Planet Chill which, as Renita puts it, “was quite an interesting experience… especially for someone who has never skated before.” The staff were more than happy to help everyone with the skates, lead them in various games and teach them how to play ice hockey. So, overall, how was the trip (I ask with a tinge of jealously in my voice)? “We returned home with smiles ear to ear – all of us,” Renita tells us. Family holidays are so few and far between that finding a resort that combines fun activities with some much-needed alone time is a real treat. Renita says that they actually only left the resort once, to enjoy a dinner out and a stroll along the beach (two blocks away). Bring me along next time, please. 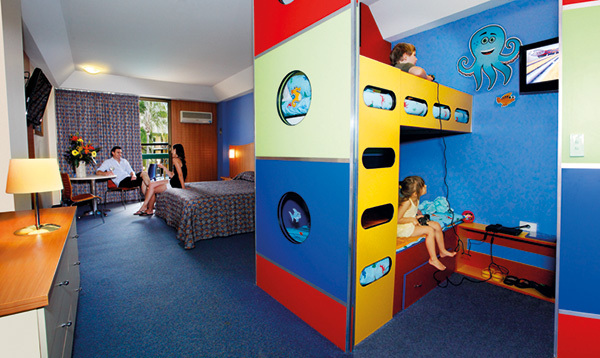 For a perfect family escape these school holidays, we at Babyology are pleased to recommend Paradise Resort to our readers. 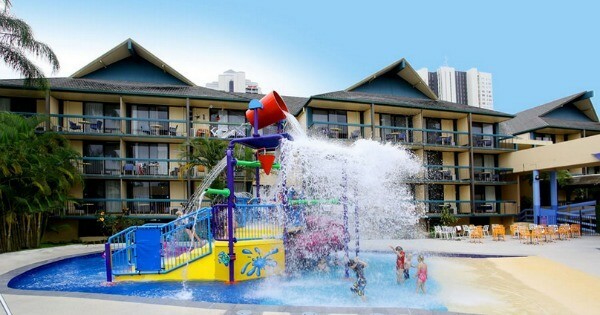 Visit Paradise Resort for all their current stay and play packages.